If you’re planning on making a new Tumblr blog this year, this collection of the best Tumblr themes will help you find a professional design to make a website that stands out from the crowd. Tumblr is a platform filled with all kinds of blogs and websites. In 2017, the platform had a little over 357 million blogs. 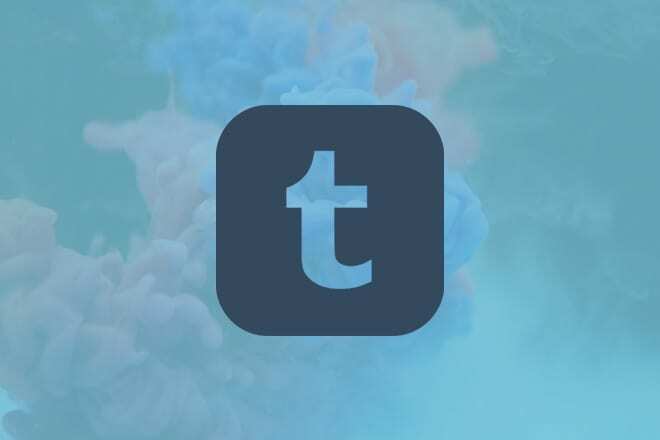 As of April 2018, Tumblr has more than 425 million blog accounts. That’s how fast it’s growing. Making a unique Tumblr blog is not as easy as it used to be. You can no longer get away with using free themes when making new blogs. To stand out from the crowd, you need to think more creatively and find uncommon themes to give a fresh look to your website. This is where we come to help. 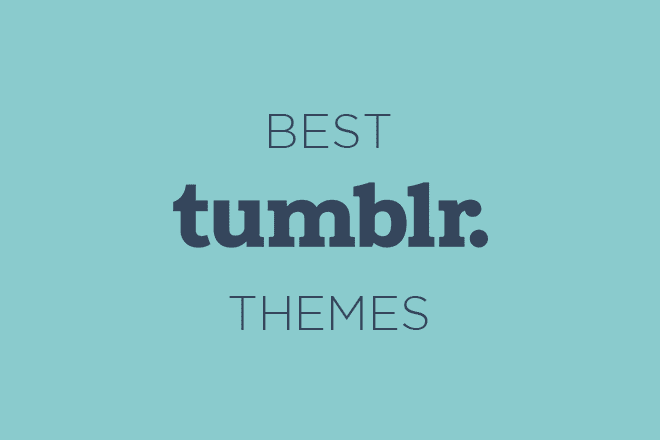 We handpicked this collection of the best Tumblr themes for that exact purpose and to help you find the right theme design to make your Tumblr blog look unlike any other website on the platform. This selection includes the best Tumblr portfolio themes, creative blogging themes, agency website themes, and much more. 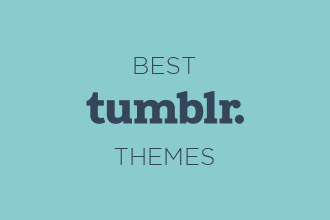 Keep scrolling down to browse all the themes. Makna is a minimalist portfolio Tumblr theme you can use to make a professional portfolio website for a designer, artist, or an agency. The theme comes with lots of creative features such as infinite scrolling, clean grid-based post layout, Google Fonts, Instagram and Dribbble widgets, and much more. It also supports Disqus comments and Google Analytics integration as well. Camelia is the perfect theme you can use to make a professional blog on Tumblr. The theme comes with the classic blog layout featuring a sidebar and an attractive featured posts section on the homepage. It also includes author profile widget as well as social media widgets, email subscribe widget, share buttons, a slide-out menu, and much more. Tini is a minimal and elegant Tumblr theme you can use to make a creative blog or a portfolio website on the micro-blogging website. The theme comes with a unique design featuring a fullscreen layout. It also has a large header section for featuring a call to action and includes a grid-based post layout. You can customize its colors however you like and change fonts with Google Fonts as well. Emotion is a minimal portfolio Tumblr theme that comes with a two-column grid post layout. 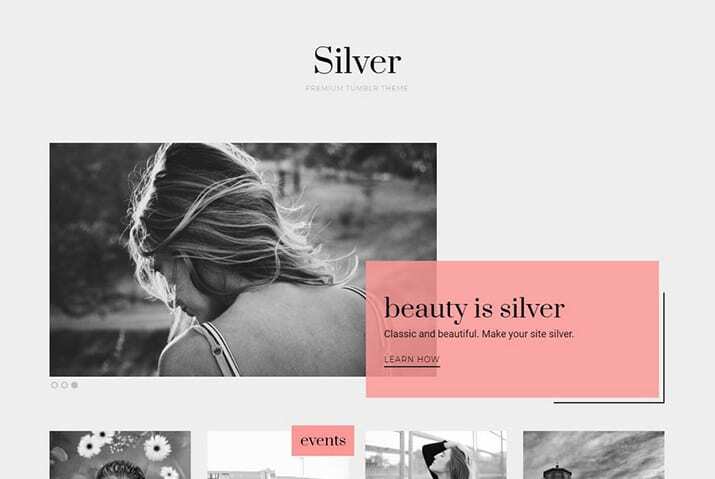 This theme heavily emphasizes image-based content with its large image previews, which makes it the perfect choice for making a portfolio website or a photoblog for designers and artists. It also supports infinite scrolling and Instagram feed widgets. Karla is a modern blogging theme for Tumblr that comes with a creative grid-based post layout. It has a beautiful featured section with image previews for showcasing your best posts, a sidebar for including social feed widgets, infinite scrolling, support for MailChimp and Disqus comments, and much more. Casy is a minimalist Tumblr theme you can use to make an effective and professional portfolio website to showcase your work and artworks. This theme is perfect for designers, artists, and illustrators as well as agencies. It features a 3-column design with customizable color options, custom fonts, along with Google Analytics and Disqus integration. Vidy is a video-focused Tumblr theme that allows you to make websites for promoting YouTube channels, streaming services, or video production services. The theme lets you easily integrate and embed videos from Vimeo and YouTube as well as SoundCloud audio to showcase your favorite videos and audio in a more professional way to grow a fan base around your brand. Objective is a minimalist Tumblr grid theme. This theme is designed to highlight photos with large previews. It’s ideal for making a photo blog or a portfolio. The theme can also be easily customized to change colors, add a logo, and more. It also comes with support for Twitter, Instagram, and Dribbble feed widgets. Glue features a fullscreen homepage layout with large grid-style post design. This Tumblr theme is most suitable for making a professional portfolio for designers, artists, and creatives. It has a fixed vertical menu area with a collapsable sidebar for including social feed widgets, links, tags, and more. Basic is a beautifully minimalist blogging theme that comes with simple one-column design, making it most suitable for writers and personal blogs. The theme can be easily customized to change colors, backgrounds, and set unique intro effects. It also includes infinite scrolling, an overlay fullscreen sidebar, and a creative single post page with support for Disqus comments. Keep is a minimalist Tumblr blogging theme that can also be used to make an effective portfolio website. The theme comes with a fixed menu for including a logo and links to pages. And it also transforms into a widget sidebar when you press the hamburger menu button. The theme supports infinite scrolling, Disqus comments, and much more. Mosaic is a modern and responsive Tumblr blogging theme that comes with a fullscreen grid layout that gives more focus to your posts. It’s compatible with all post types and comes with a menu with support for a custom logo, an Instagram feed at the bottom of the page, infinite scrolling, and much more. PHU7UR3 is a Tumblr theme with a futuristic design. It’s one of best designed dark Tumblr themes we’ve seen in a while. The theme comes with an animated background, a stylishly designed grid-based post layout, Google Analytics, Disqus comments, and much more. It’s perfect for making a Tumblr blog that stands out from the crowd. Tresno is a modern Tumblr theme made for professional bloggers. This theme comes with a fully responsive and full-width blog layout that features a high-quality design. It will basically make your Tumblr blog look like a self-hosted WordPress website. You can use this theme to build a professional blog or a magazine-style blog with multiple categories. Milo is an adorable and colorful Tumblr theme that comes in both dark and light color schemes. The theme features a simple blog layout that supports all post types and it includes a slide-out sidebar where you can add many widgets, including social media feeds, an about section, navigation links, and more. Cinnamon is an elegant Tumblr blogging theme that you can use to setup a professional blog on the microblogging platform. The theme comes with an attractive header section where you can feature your logo, a custom navigation menu, a post slider, a sidebar for featuring widgets, an author bio, and much more. It also includes a unique Instagram feed widget as well. Rainbow is a unique Tumblr theme features a very colorful design. It includes a header section with a background image slider for attracting the attention of your audience. The theme also comes with a grid-based post layout, email subscribe widget, and 14 more widgets for showing off your social media feeds and tags. Anna is a fully responsive Tumblr blogging theme made specifically for travel bloggers and writers. The theme features a fullscreen featured posts slider on the homepage with a menu on top for including tags and social media links. The theme also comes with a masonry-style grid post layout. You’ll have the freedom to easily change theme colors however you like. Casimir is a modern Tumblr theme featuring a dark color theme. 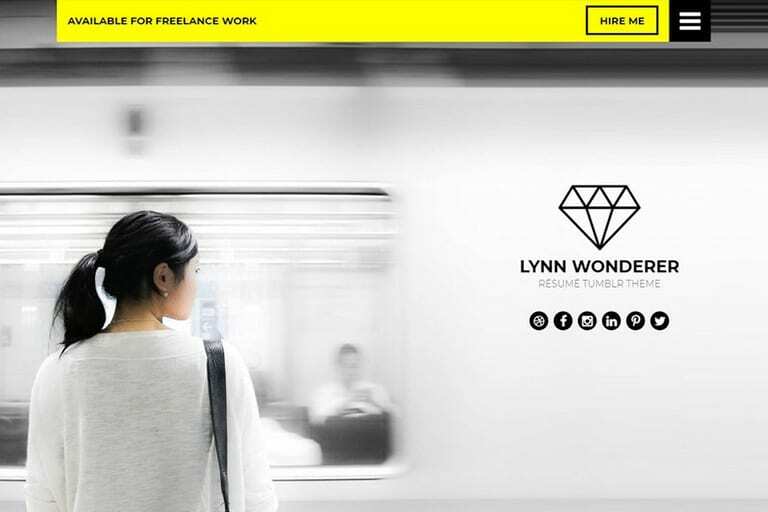 This theme is ideal for setting up a website for a creative agency or a freelancer. It comes with a sectioned design for including details about your company and services. The theme also includes a fullscreen overlay menu, a gallery section, and much more. Hype is a modern Tumblr theme that features a creative layout for effectively showcasing your content. The theme is ideal for writers and bloggers for setting up a personal journal or a multi-category blog. It comes with a unique post slider, a grid-based post layout, a navigational menu, and a sidebar with social feed and email subscription widgets. Exp is a clean Tumblr theme that features a grid-based blog layout. It’s most suitable for making portfolio websites for designers and photographers. The theme features a minimalist header section where you can include tags and links and comes with a small about section for describing your website and about yourself. Wave is a simple Tumblr blogging theme that comes with a header section where you can feature a cover image and a logo. The theme also includes a slide-out menu with support for Tumblr widgets, a grid-based post layout with infinite scrolling, and integration with Disqus comments. Grid is a modern Portfolio theme for Tumblr. It features a masonry-style grid layout for showcasing your posts and images. The theme includes lots of customization options for easily changing colors and background. It also comes with a slide-out menu, a preloader, post filtering, Google Analytics, Disqus comments, and much more. Hub is an elegant one-column Tumblr theme that features a minimal and a clean design. It’s perfect for making a personal blog on Tumblr and also for setting up a daily journal website for writers. The theme includes a slide-out sidebar menu for links and tags, a header menu, and a wide post layout for highlighting your content. Putih is an elegant Tumblr blogging theme that can be used to make both personal blogs and professional blogs. The theme features a modern post layout with support for all post types, a sidebar for including an author bio, social feed widgets, and much more. It also supports Disqus and Google Analytics integration. Keleus is a modern Tumblr theme made specifically for agency and business websites. It comes with a fully responsive design that effectively highlights all the information, services, project portfolios, latest blog posts, and everything else related to your business. The theme also includes a slide-out sidebar with support for widgets as well. Quadro is a creative Tumblr theme that comes in 2 different homepage designs featuring dark and light color themes. It also features a masonry style grid post layout for showing off your blog posts or portfolio items. The theme includes a slide-out sidebar with support for plenty of widgets, including social media feed widgets. Visto is a modern Tumblr portfolio theme that you can use to make a professional looking portfolio website to showcase your best work or setup a personal blog. The theme features a header section where you can include a profile photo and a cover photo. It also includes a masonry-style grid post layout with an easy filtering system. Dashboard is a minimalist Tumblr theme with a fullscreen layout. It features a grid post layout for showcasing your posts and includes a slide-out sidebar for adding widgets. The theme also comes with more than 40 different ways to customize the design along with infinite scrolling, Disqus comments, and Google Analytics. Platro is a beautiful Tumblr portfolio theme that you can use to create an effective portfolio website for a graphic designer or an artist to showcase their best work. The theme features a fully responsive layout with support for all post types. It also comes with infinite scrolling, social feed widgets, and Disqus comments.